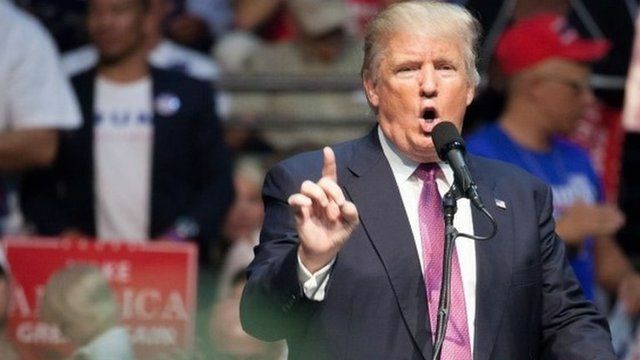 What Trump has said about Mexicans Jump to media player A look back at some of the things US presidential hopeful Donald Trump has said about Mexico during his election campaign. What about that wall? Jump to media player As Donald Trump accepted his nomination, the BBC spoke to Republican delegates about his plans for a wall on the border with Mexico. Mexico: Laughing or crying over Trump? Jump to media player During the last week Republican front-runner Donald Trump has sparked outcry over comments he made about abortion and raised eyebrows with remarks about US foreign policy. The view on the US-Mexico border Jump to media player A border guard explains the range of different nationalities among migrants. Donald Trump, who has repeatedly disparaged Mexico during his presidential campaign, is to visit the country for talks with the president ahead of a speech on immigration. Here's a look back at some of the things the US presidential hopeful has said about Mexico during his election campaign. Go to next video: What about that wall?